“1. Whether the Income-tax Appellate Tribunal was correct in law and on facts in holding that the assessee was entitled to deduction under section 10A of the Act ? 2. Whether the Income-tax Appellate Tribunal, while deleting the additions, was correct in law and on facts in upholding the finding of the Commissioner of Income-tax (Appeals) that the job work done by the assessee on behalf of foreign company would fall under the ambit of export as envisaged under section 10A of the Income-tax Act, 1961 ? 3. Whether the ITA/CIT(A) were correct in law and on facts in ignoring the specific provisions of section 10A(2) and accepting the claim of the assessee in the absence of any evidence produced in respect of acquisition of any new machinery, tools or equipment for manufacture/production of jewellery ? 2. In I. T. A. No. 1025 of 2010, the last question is pertaining to designing and fabrication charges. Question No. 4 does not arise and order framing question of law also does not allude to this issue. 4. The facts necessary to decide these appeals are that the assessee, a partnership firm engaged in manufacturing and export of plated and studded jewellery, sought the benefit of section 10A on the basis of its licence obtained from the Central Government on August 18, 2000. The assessee-firm came into existence on August 12, 2000. It claimed exemption in respect of profits derived from export of jewellery manufactured in the said industrial undertaking to the extent of 90 per cent. of the profits. In respect of the assessment year 2003-04, the firm reported an income of Rs. 3,62,500 on the basis of its returns after claiming deduction to the tune of Rs. 32,62,635 under section 10A. The benefit was declined by the Assessing Officer on the ground that the activity carried on by the assessee did not amount to manufacturing and that it was not exporting the finished product to the agency at Dubai. The Commissioner of Income-tax (Appeals) allowed the assessee’s appeal and the Income-tax Appellate Tribunal confirmed the order. 5. During the pendency of these appeals, the first question, i.e., as to whether the process of jewellery making through job work in the manner undertaken by the appellant amounts to manufacturing for the purpose of section 10A was examined by this court in another appeal. The court then held that the said activity amounts to manufacturing in CIT v. Lovlesh Jain  204 Taxman 134/ 16 taxmann.com 366 (Delhi). Following the said judgment, the first and second questions in I. T. A. Nos. 775 of 2009 and 1025 of 2010 and the sole question in I. T. A. No. 53 of 2013 are answered in favour of the assessee and against the Revenue. 7. This court notices that the Assessing Officer had queried the appellant as to whether transfer of any old machinery had taken place at the time of setting up of unit and he made an adverse comment in respect of non-production of such materials. 8. Counsel for the appellant-Revenue argued that the Commissioner of Income-tax (Appeals) and the Income-tax Appellate Tribunal fell into error in accepting the materials placed in the first instance in the appellate proceedings. We are of the opinion that as to whether the machinery was new or not was an aspect which the Commissioner of Income-tax (Appeals) was within his rights to enquire into ; he did so by invoking rule 46A of the Income-tax Rules. The assessing authority was afforded an opportunity and a remand report appears to have been called for. In the circumstances, the findings of fact concurrently recorded cannot be gone into. The question of law, therefore, does not arise and is answered against the Revenue, in the circumstances. 9. This pertains to the disallowance made in respect of the sum of Rs. 14.5 lakhs and Rs. 9,86,795 by the Assessing Officer. These amounts were paid towards designing and fabrication charges. The Assessing Officer rejected these expenses holding that the assessee did not submit details as to the persons to whom the payments were made either for designing or for fabrication and that the deduction, therefore, could not be permissible. In addition to urging that this finding was not sound and it was not based upon proper appreciation of the evidence, the learned standing counsel also endeavoured to urge that the assessee was not carrying on any manufacturing or processing in the unit. It was urged that the nature of machinery claimed to have been purchased, i.e., almirahs, generators, air-conditioners and electronic printers, etc., showed that the relevant machinery necessary to carry out gold processing and making jewellery was not even shown to have been procured. Therefore, the claim which was ultimately upheld by the Tribunal which did not upset the findings of the Commissioner of Income-tax (Appeals) with respect to the expenses in counsel’s submissions establishes that the assessee did not itself carry out any processing and manufacturing activity who left it to some contractors and the question of its being entitled to the benefit of section 10A did not arise. 10. We notice that the question formulated is limited to the findings of the Commissioner of Income-tax (Appeals) and the Tribunal with respect to the setting aside of the disallowance. The ground of appeal urged before the Tribunal did not disclose that the Revenue had ever argued that the claim for deduction of these amounts (towards fabrication and designing charges) itself evidenced that the appellant did not carry on any manufacturing activity. Such being the circumstance, the Revenue cannot be now permitted to urge this aspect for the first time before the court under section 260A. “The submissions made by the appellant have been carefully considered in view of the facts and circumstances of the case. It is observed that the Assessing Officer has disallowed the entire designing and fabrication charges and factory maintenance expenses only for want of verification in the absence of books of account. This, however, cannot be taken as a sufficient ground for making such disallowance in the absence of any cogent reasons or evidence to the contrary brought on record. The appellant, on the other hand, has furnished all the relevant details including copies of account and bills/ vouchers, etc., in support of its claim which have been placed on record. It is also noted that the appellant is engaged in the business of export of gold jewellery which naturally involves designing and fabrication charges. Comparative chart of similar expenses in the earlier and later years has also been furnished in support. Also, as seen at length, vide paragraph 8 supra, the appellant is entitled to deduction under section 10A of the Act and, as such, any disallowance out of the expenditure debited to the profit and loss account will also have to be considered for deduction thereunder. 13. As is evident, the Tribunal noted that it might have been more appropriate for the Commissioner of Income-tax (Appeals) to have forwarded the bills and vouchers for the examination of the Assessing Officer. However, it was in its discretion to make any directions towards remand. 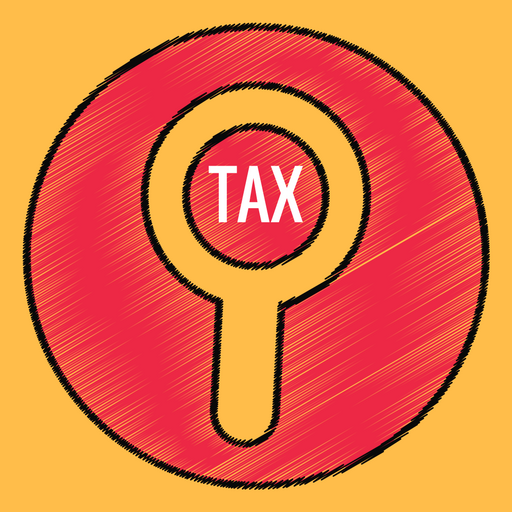 This court is of the opinion that the approach of the Commissioner of Income-tax (Appeals) confirmed by the Income-tax Appellate Tribunal cannot be considered so perverse as to warrant interference under section 260A. 14. In view of the above discussion, the appeals have to fail. All questions of law are answered against the Revenue and in favour of the assessee. The appeals are, therefore, dismissed. This entry was posted in Sec. 37(1), Section 10A and tagged 362 ITR, deduction u/s 10A, Delhi High Court, In favour of Assessee.